Eric is the Managing Partner of Burr & Forman's Orlando office. In addition to his managerial role at the firm, Eric maintains a full-time law practice helping his clients find innovative solutions for their business disputes. 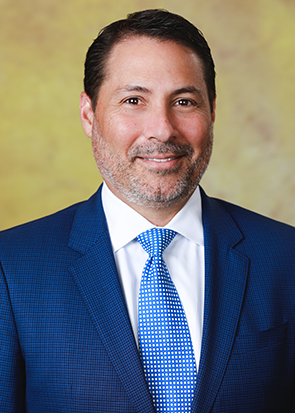 As both a litigator and bankruptcy attorney, Eric has advised his clients in business deals and represented their interests in court for over 18 years. Eric’s approach to problem solving centers around deep understanding of his clients’ business and application of his legal expertise to help them achieve the business objectives they value most. In his bankruptcy practice, Eric focuses on representing creditors, including financial institutions, special servicers, private equity groups and other non-traditional lenders as well as other secured and unsecured creditors in state and federal court litigation, chapter 11 bankruptcy cases, and in out-of-court workouts and resolutions. He has represented creditors’ committees, receivers, bankruptcy trustees, indenture trustees, examiners, landlords and equipment lessors. Eric has served clients in multiple industries including real estate, health care, construction, retail, auto finance and hospitality, among others. As a commercial litigator, Eric has tried jury trials and bench trials to verdict and on appeal. Seasoned in complex civil cases of all types, Eric’s litigation practice is primarily focused on representing clients in disputes involving real estate, mortgage foreclosure and commercial evictions. Eric also has experience in unique business litigation involving securities fraud, Ponzi schemes, lender liability, and complex guardianship, probate and trust proceedings. Eric has spoken on numerous panels on several bankruptcy and litigation issues in venues across the country.